Did you know that April is IBS Awareness Month? A lot the IBS awareness messaging out there might focus on IBS being an invisible illness – that up to 20% of the population is struggling internally, while externally you can look perfectly healthy. And we all know this is true. But I want to change the conversation and shift the focus to something else entirely. I was diagnosed with both IBS and GERD but I’ve been symptom-free for 15 years. I’m truly grateful to be able to live my life to the fullest, but I wasn’t gifted a miracle that no one else can have. So what about you? Are you ready to join my vision and eliminate your IBS? 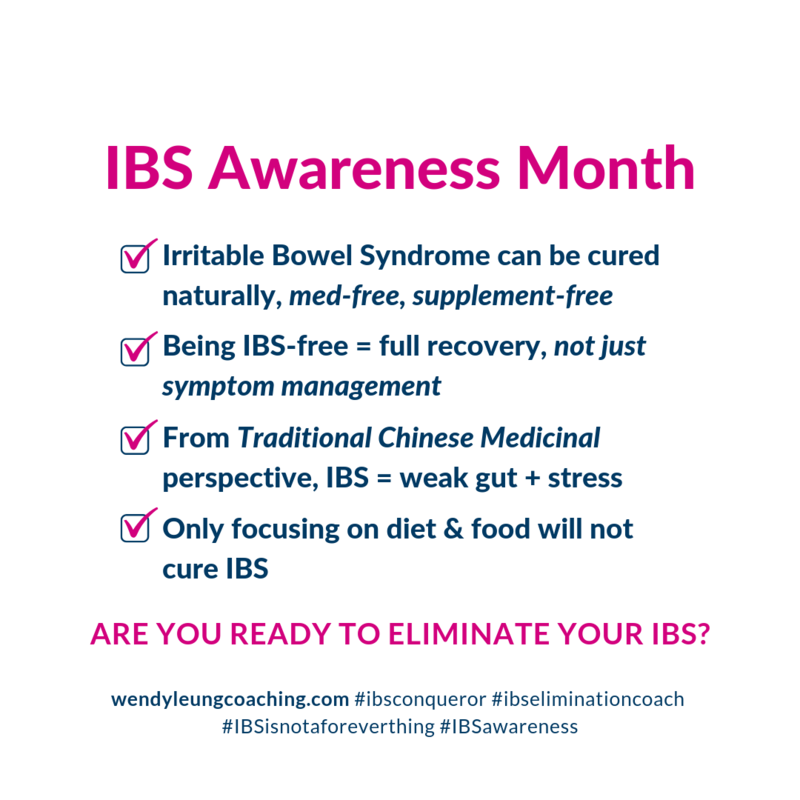 Share this post to help spread the word, and book an IBS Breakthrough Session if you’re ready to let me help you get IBS-free too!